A few months ago, I had the privilege of styling for one of my favorite film photographers, Ryan Ray. Because he’s based out of Texas, it made it that more exciting to finally meet him and get the chance to work together. We decided to rethink the format of an inspiration shoot and this time focus on fashion! We were so happy to hear that Mag Rouge selected our shoot as a feature in their newest issue, so you must head there to see their story (and the rest of the features–always such a beautiful publication!). Today on the blog, I thought it would be fun to share a little “behind the scenes” insight to get a perspective on how I go about styling these shoots! The goal for this shoot was to show how you can have fun with your bridal party–and how much fashion can really add to the overall look of the big day. 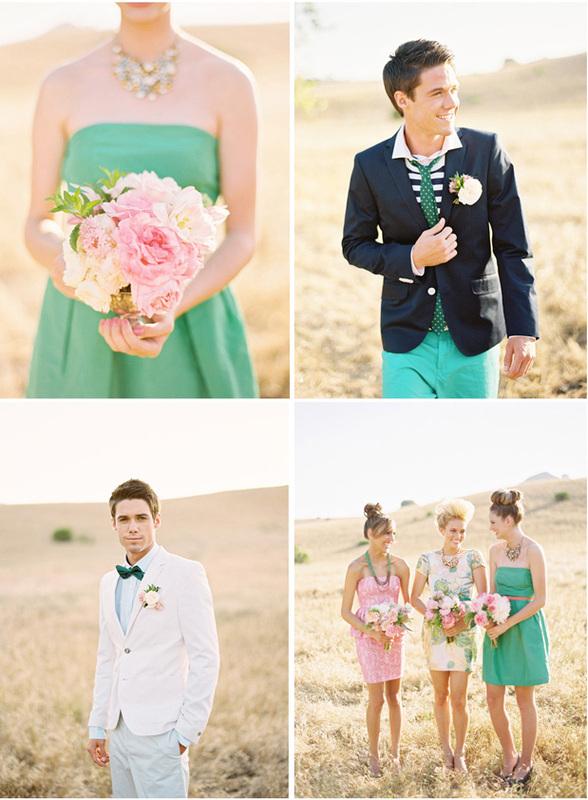 To give us some initial direction, I fell hard for the combination of blush pink, kelly green, and stripes of navy. It has a Florida vibe to it all, so to emphasize that feel, I thought that we’d find some ways to incorporate contrasting patterns, like our floral dress and stripes as well as pops of gold. 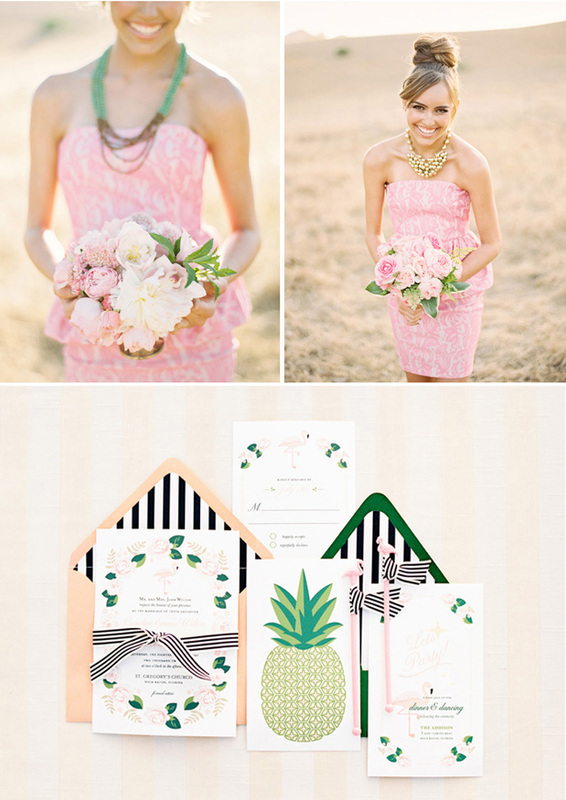 Flamingos and pineapples in the stationery suite by Elaine of Paper Made Design added to that Florida concept and helped reinforce the relationship between the contrasting dresses. Our bridesmaids are decked out in last spring’s dresses from H&M (floral print), Nautica via Macy’s (striped), J. Crew (kelly green), and Zara (pink peplum). The groom is showing off a variety of fun combinations from H&M. 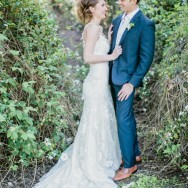 For wedding dresses, we headed off to The White Dress in Corona del Mar, where we borrowed a gorgeous Lazaro (the white) and Watters (the blush) dress. For extra style, went BIG on hair. Our hair stylist Dianna Lopez also used what’s normally a dress accessory by Renee Pawele and turned it into a show stopping hair piece. I die. The soft and romantic makeup by Amy Clarke works beautifully with the whole look. The lush florals by Nancy of Oak and the Owl include garden roses, peonies and touches of fresh mint–perfectly refreshing for a warm weather wedding. I hope you love the look as much as we do. We’d love to know–would you ever consider something this daring for your bridal party? Where are the bride's earrings from? 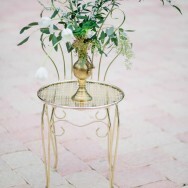 Must have for my wedding!! it was such a huge honor to work with you Summer. you are so incredibly talented!! UMMMM I love this! Great concept and styling Summer! ps. Love the images Ryan Ray! Sarah, they are a vintage pair from my personal collection. I found then on etsy!!! Unbelievable! 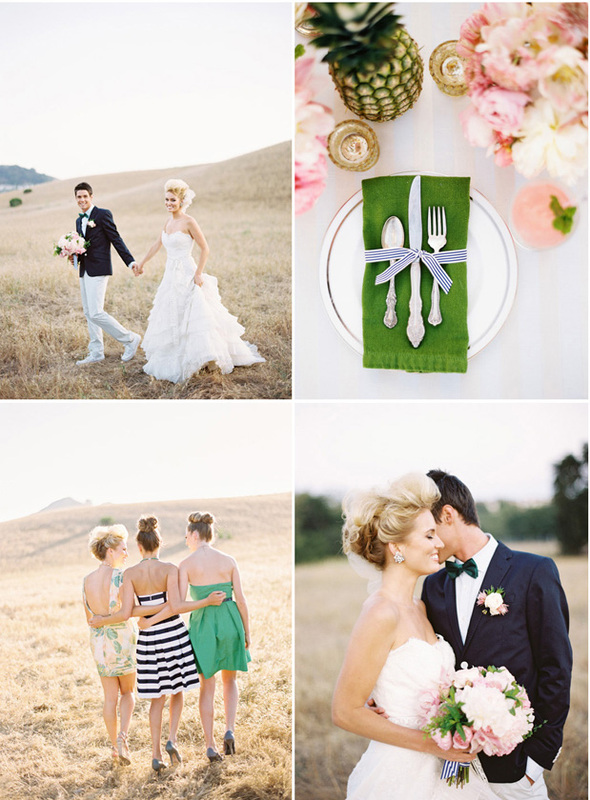 I am absolutely smitten with this totally gorgeous shoot. Incredible job on the imagery, Ryan. Gorgeous job!! Love the dress mix of floral, stripes and a pretty green. This was an AMAZING shoot and I was honored to be a part of it. 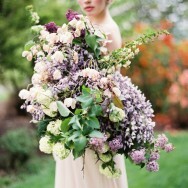 Summer's vision and styling paired with Ryan Ray's photographs are beyond beautiful. 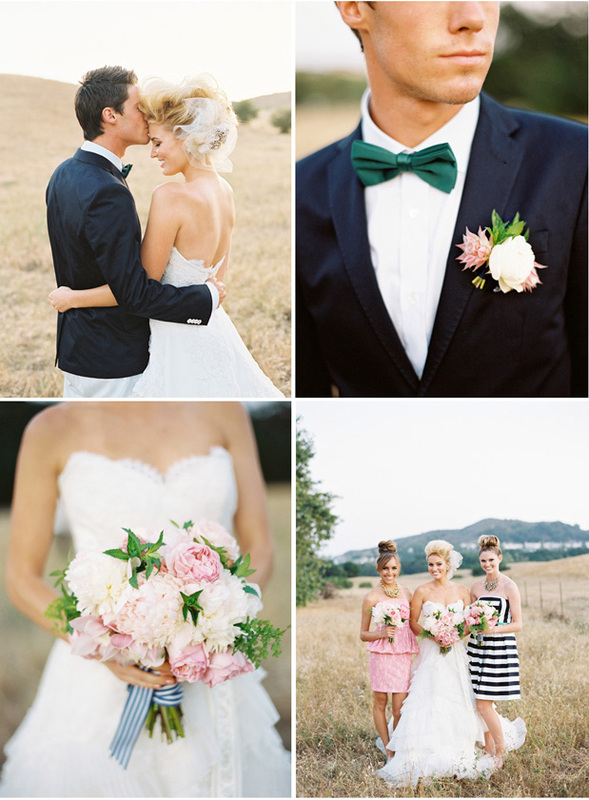 This pink, green and black + white stripe combo is AMAZE. Lovin' this shoot and all its patterns! I adore everything about this shoot! The mix and match bridesmaids' dresses are fabulous. What a great idea! Plus The White Dress in Corona Del Mar is my FAVORITE place to take friends to shop for their wedding dresses. This is a gorgeous shoot. I think the striped ribbon detail throughout is my favorite. A little bit of preppy. This was my favorite shoot in this issue! You and Ryan Ray working together are such a dream team! 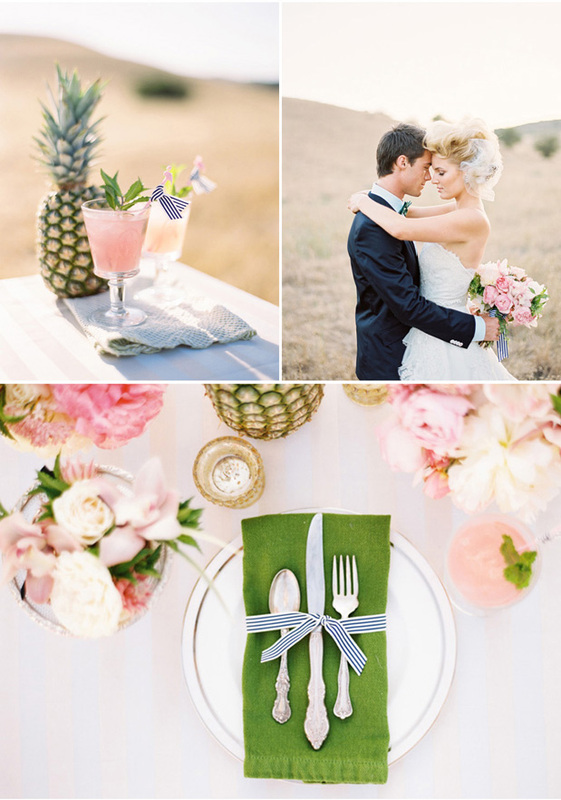 Loving the pinks, greens and those stripes....! Great job Summer! Love all the colors and her hair is to die for! It was great that you showed a blush dress as they are becoming more the style now! I wonder how many brides will start to veer away from white and ivory gowns and try on a blush or champaign colored dress. 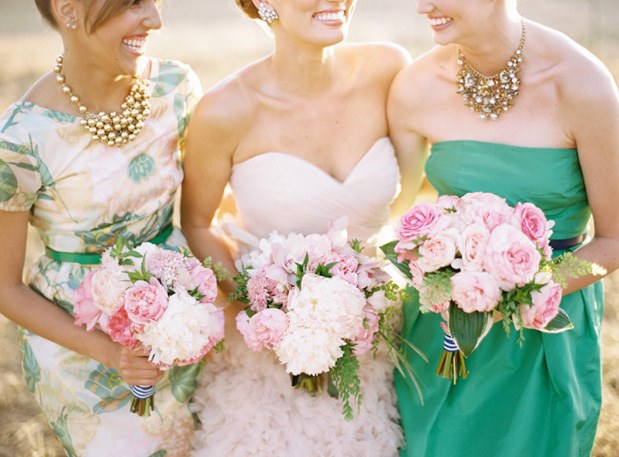 Where is that ADORABLE pink print bridesmaid dress from? I'm obsessed. This is one of the most beautiful weddings I've ever seen! Love the wedding hair! Love the groom's pants! 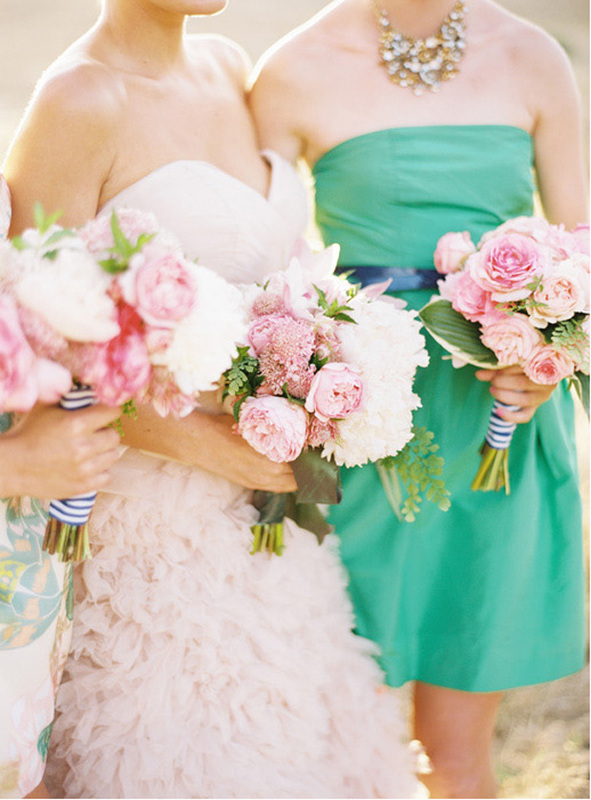 Love the mix of bridesmaids dresses! Just beautiful! Oh, let's not leave out the amazing wedding dress the bride wore! CUTE! My initial thought is -- a chic, playful, adaptation of Lily Pulitzer style! i really love this! I just love this shoot! Amazing! Is there any info on where I might be able to find that beautiful floral dress? I have got to know where these bridesmaid dresses are from. Absolutely LOVE!! Wow, what a statement wedding! Love the hairstyle the bride was rockin'.